Movies/PowerPoints that need to go on loop on the flat screen. The image ratio should always be 16:9 (never 4:3). If you will use your laptop as a source, please let Bert@groeparthur.be know. 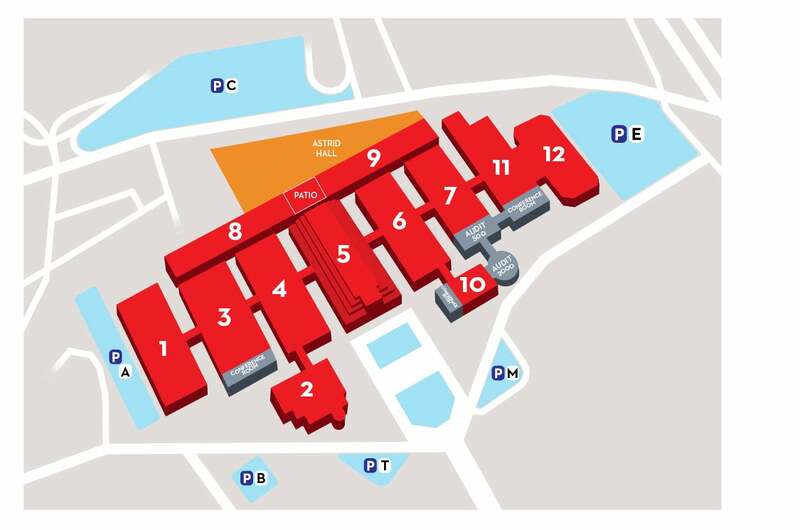 Please note that you (or your booth builders) cannot enter the Brussels Expo Grounds before 20pm for take down of your booth. Your voucher to enter is only valid as from 20pm. You cannot park your car at Hall 10 and have to park outside the Brussels Expo Area after (un)loading. There is no privatised parking for partners. Park at one of the parking areas at the Avenue Miramar (Parking M-T-B). Those are closer to the entrance of Hall 10. No roll ups, beach flags, … allowed. Please take all your disposables after the event. Please make sure your staff is permanently present on the booth from 8.00 to 20.00 on the day of the event.